Vegan Bytes #64: What's the Best Vegan Ice Cream? *Question: "Should I look for vegan clothes?" 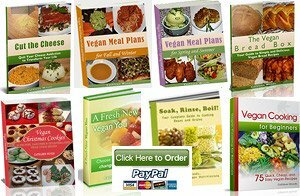 More and more people read Vegan Bytes each month and part of that is thanks to you forwarding your friends my website. Thank you so much for your continued support. One of my favorite moments in the summer is when the first blueberries start popping on the scene at the farmers' market. It signals the beginning of a month or so of joy for me, and a time in which I try to load up as much as possible. Most years I find an organic farm nearby and pick a few gallons. Some of that gets gobbled on the way home, a good amount gets eaten fresh before the little balls start to wrinkle, and the rest is frozen and stored for the months of summer where fruit is lean. Some of the extras get turned into muffins, pancakes, raw cakes, and blueberry pies. It's all good. 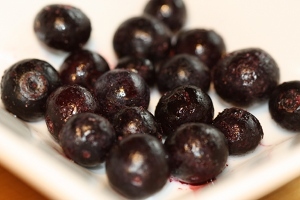 I've found that the fruit that tastes the most amazing tends to have the most incredible health benefits, and blueberries are no exception. Check out all the amazing benefits you get from eating midsummer's bounty. I travel to Atlanta at least once a year and Cafe Sunflower has become a mandatory stop on our trip. 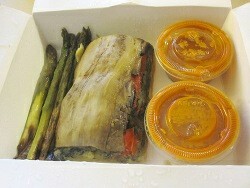 They've been serving vegetarian food in the south since 1994 and they do their best dishes really well. In addition to nice pasta dishes like eggplant orzo lasagna and perfectly cooked Asian staples like dumplings and spring rolls, they serve absolutely delicious desserts. One of them, a peanut butter mousse covered chocolate cake, my mom swore was the best cake she'd ever had. That's a big compliment coming from a baker who swears she can taste Earth Balance in place of "real" butter. If you're ever in Atlanta, make it a point to stop at Cafe Sunflower for a great veggie dish and a slice of amazing vegan cake. Read my full review for what I think are the best options on the menu. "Should I wear vegan clothes?" 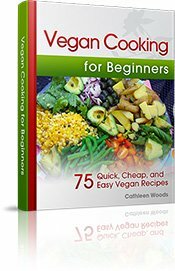 I just started eating vegan and I'm wondering how important it is for me to also wear vegan clothes? Where can I find them? I believe that the only person who should be deciding what you eat, wear, and do with your life is you. I also believe in a compassionate approach to veganism that hopefully enables new people to come join our lifestyle without feeling intimidated by the requirements or bullied when they don't live up to other people's expectations. That being said, I personally do not wear animal products, and I would prefer that no one else did either. Animals raised for clothing are treated no better than those raised for food, so if you know what factory farmed animals go through, you have a general idea of how fur, leather, and other clothing makers retrieve their products. There is an abundant supply of videos all over the internet if you need help deciding one way or the other about what to wear. A quick bing search for "fur industry" or "leather cows" will lead you immediately to them. You can also watch EARTHLINGS for more information on how animals are treated for their body parts. I will absolutely never get the horrific images of animals being stripped of their skin while still alive out of my head. While I wish I couldn't pull it up in my mind anytime someone mentions their right to wear whatever they want, I believe it's important to know the truth so you can make a logical decision that works for you. If you do decide to opt for non animal-based clothes, it can be easier than it seems. You don't have to go for the high-end vegan clothiers. In fact, most of the least expensive shoes on the market are made with man-made materials (though of course there are human rights issues that go into the making of some of these). Most of what you already have in your closet probably qualifies as vegan clothing. 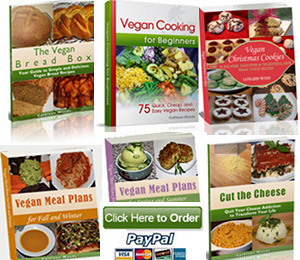 You don't need to get a whole new wardrobe in order to be a lifestyle vegan as well as a dietary vegan. Learn more about vegan clothes here. 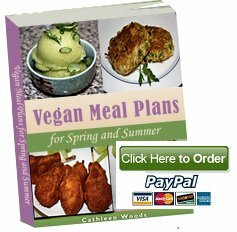 This is the perfect time of year to get your copy of Vegan Meal Plans for Summer. It focuses on seasonal spring vegetables like kale, lettuce, carrots, peas, strawberries, tomatoes, peppers, and more! 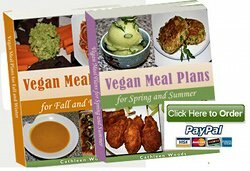 The menus include 66 recipes for full dinners for 4 work weeks complete with nutritional information, tips, and many pictures. No repeats! In the heart of summer, the last thing most people want to do is bake a dessert. Enter raw pies! 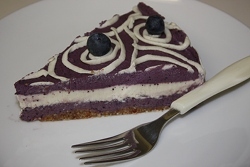 Using this month's featured healthy and delicious food, blueberries, we have a rich, decadent, and healthful dessert in this blueberry cheesecake. Raw cheesecakes use blended nuts for creaminess and lecithin to thicken the cake into a texture very similar to cheesecake made with cream cheese or ricotta cheese. There are a few steps involved, but it's incredibly easy to make a raw pie. There's no baking and you only end up using a measuring cup and your food processor, so there's so much less to clean up. Raw vegan cheesecakes like this one are light and refreshing and absolutely perfect when it's scorching hot and need a little sweetness to cool down. Everyone knows there's not much better on a hot summer day than a scoop of cold, creamy ice cream. But what not everyone knows is that going vegan doesn't mean you have to say goodbye to this treat. Vegan ice creams have come a long way since I stopped eating dairy... a really long way. Back then, the only dairy-free ice cream option was made with soy milk and it was grainy and tasted nothing like "real" ice cream. Of course I'm sure I ate it and said I liked it just fine, but really I knew it was a sacrifice. Now you can buy ice cream made from several different kinds of milk bases, and there are tons of different flavors and brands. You don't have to stick to sorbet alone anymore. 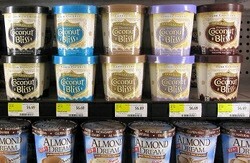 Check out my recently updated list of the best nondairy ice cream options in most Whole Foods stores. And, please feel free to add in the comments section if I'm missing your favorite vegan ice cream.